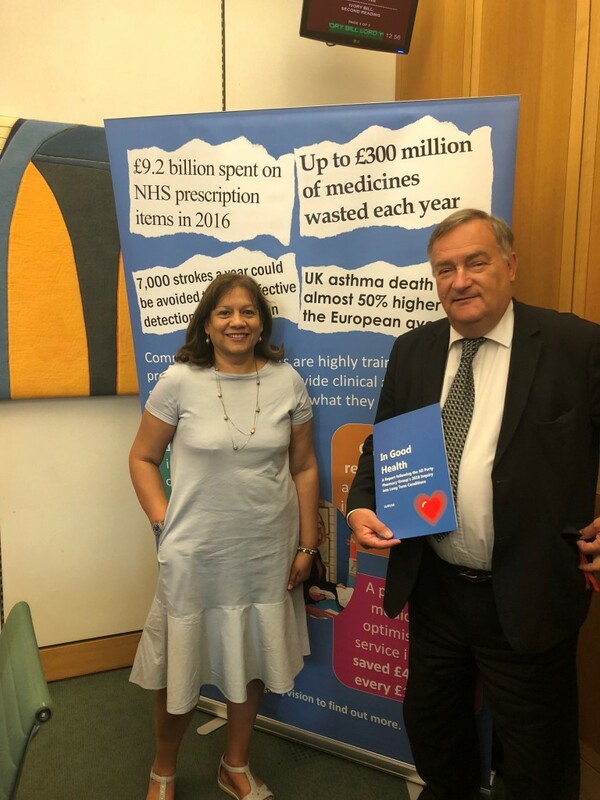 I attended the community pharmacy briefing event in Parliament on Tuesday 17 July 2018. More than 15 million people in England live with a long term condition. By 2025, 18 million will have a long term condition, and many more people will have more than one. Currently, 70% of England’s health and social care budget is spent on caring for people with long term conditions. The All Party Pharmacy Group published a report on community pharmacy and NHS care for people with long term conditions on 11 July 2018. 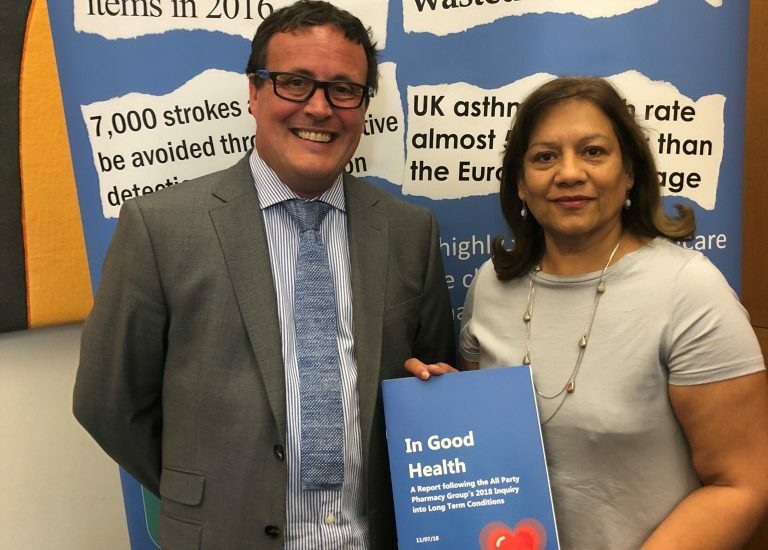 The inquiry heard from organisations representing patients with a range of long term conditions as well as pharmacists and organisations representing pharmacy to understand how care can be improved for people with long term conditions and what part pharmacy could play.